The segment(s) or group(s) of people and organizations you decide to sell to is called a target market. Targeted marketing, or differentiated marketing, means that you may differentiate some aspect of marketing (offering, promotion, price) for different groups of customers selected. It is a relatively new phenomenon. Mass marketing, or undifferentiated marketing, came first. It evolved along with mass production and involves selling the same product to everybody. You can think of mass marketing as a shotgun approach: you blast out as many marketing messages as possible on every medium available as often as you can afford (Spellings, 2009). By contrast, targeted marketing is more like shooting a rifle; you take careful aim at one type of customer with your message. Automaker Henry Ford was very successful at both mass production and mass marketing. 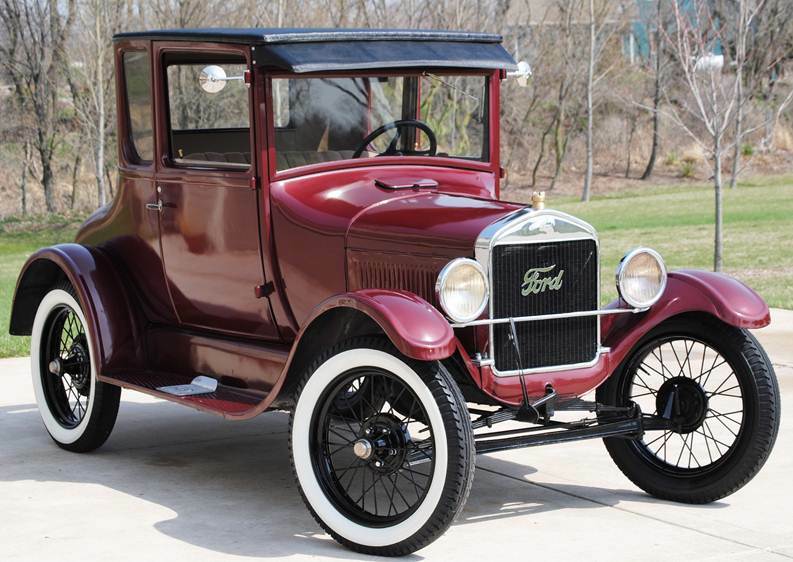 Ford pioneered the modern-day assembly line early in the twentieth century, which helped him cost-effectively pump out huge numbers of identical Model T automobiles. They came in only one color: black. “Any customer can have a car painted any color he wants, so long as it is black,” Ford used to joke. He also advertised in every major newspaper and persuaded all kinds of publications to carry stories about the new, inexpensive cars. By 1918, half of all cars on America’s roads were Model Ts (Ford, 1922). Ford Europe – Ford Model T – CC BY-NC 2.0. Avoid head-on competition with other firms trying to capture the same customers. Develop new offerings and expand profitable brands and products lines. Remarket older, less-profitable products and brands. Redistribute money and sales efforts to focus on your most profitable customers. Retain “at-risk” customers in danger of defecting to your competitors. The trend today is toward more precise, targeted marketing. Figuring out “who’s who” in terms of your customers involves some detective work, though—often market research. A variety of tools and research techniques can be used to segment markets. Government agencies, such as the U.S. Census Bureau, collect and report vast amounts of population information and economic data that can reveal changing consumption trends. Technology is also making it easier for even small companies and entrepreneurs to gather information about potential customers. For example, the online game company GamePUMA.com originally believed its target market consisted of U.S. customers, but when the firm looked more closely at who was downloading games from its Web site, they were people from all over the globe. With the increased use of social media, companies are able to get information on consumers’ search behavior. Loyalty cards that consumers scan at many grocery and drug stores provide an incredible amount of information on consumers’ buying behavior. The great product idea you had? Companies are now using the Internet to track people’s Web browsing patterns and segment them into target groups. Even small businesses are able to do this cost-effectively because they don’t need their own software and programs. They can simply sign up online for products like Google’s AdSense and AdWords programs. You can locate potential customers by looking at blog sites and discussion forums on the Web. Big-boards.com has thousands of discussion forums you can mine to find potential customers interested in your product. Do you have a blog? Go to BlogPoll.com, and you can embed a survey in your blog to see what people think of your idea. If you have a Web site, you can download an application onto your iPhone that will give you up-to-the-minute information and statistics on your site’s visitors. Getting a read on potential target markets doesn’t necessarily have to involve technology. Your own personal experience and talking to would-be buyers is an important part of the puzzle. Go where you think would-be buyers go—restaurants, malls, gyms, subways, grocery stores, daycare centers, and offices—and ask questions to find out what they do during the day, what they talk about, what products or services do you see them using, and do they seem to be having an enjoyable experience when using those products or are they frustrated? Ken – Healthy Choice – Sweet & Sour Chicken – CC BY-NC 2.0. 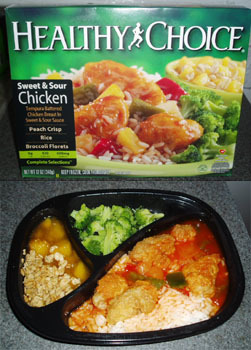 Healthy Choice frozen dinners were conceived as a result of questioning potential customers. The food-maker ConAgra launched the dinners in the late 1980s after its CEO, Charlie Harper, suffered a heart attack. One day a colleague complimented Harper on his wife’s tasty low-fat turkey stew. That’s when Harper realized there were people like him who wanted healthy convenience foods, so he began talking to them about what they wanted. Two years after the Healthy Choice line was launched, it controlled 10 percent of the frozen-dinner market by concentrating on the health conscious segment (Birchall, 2009). Finding and attracting new customers is generally far more difficult than retaining your current customers. Think about how much time and energy you spend when you switch your business from one firm to another, even when you’re buying something as simple as a haircut. If you aren’t happy with your hair stylist and want to find a new hairdresser, you first have to talk to people with haircuts you like or read reviews of salons. Once you decide on a particular salon, you have to find it and explain to the new hairdresser how you want your hair cut and hope he or she gets it right. You also have to figure out what type of credit cards the new salon will accept and whether tips can be put on your credit card. Finding new customers, getting to know them, and figuring out what they really want is also a difficult process, one that’s fraught with trial and error. That’s why it’s so important to get to know, form close relationships, and focus selling efforts on current customers (Birchall, 2009). In 2009, Backroads, a California company focused on adventure-based travel increased its revenues by creating a personalized marketing campaign for people who had done business with them in the past. Backroads looked at customers’ past purchases, the seasons in which they took their trips, the levels of activity associated with them, and whether or not the customers tended to vacation with children. Based on their findings, Backroads created three relevant trip suggestions for each customer and sent postcards and e-mails with links to customized Web pages reminding each customer of the trips he/she had previously booked with Backroads and suggesting new ones. “In terms of past customers, it was like off-the-charts better [than past campaigns],” says Massimo Prioreschi, the vice president of Backroads’ sales and marketing group1. In addition to studying their buying patterns, firms also try to get a better understanding of their customers by surveying them or hiring marketing research firms to do so or by utilizing loyalty programs. (A good source for finding marketing research companies is http://www.greenbook.org.) For example, if you sign up to become a frequent flier with a certain airline, the airline will likely ask you a number of questions about your likes and dislikes. This information will then be entered into a customer relationship management (CRM) system, and you might be e-mailed special deals based on the routes you tend to fly. British Airways goes so far as to track the magazines its most elite fliers like to read so the publications are available to them on its planes. Twitter is another way companies are keeping in touch with their customers and boosting their revenues. When the homemaking maven Martha Stewart schedules a book signing, she tweets her followers, and voilà, many of them show up at the bookstore she’s appearing at to buy copies. Finding ways to interact with customers that they enjoy—whether it’s meeting or “tweeting” them, or putting on events and tradeshows they want to attend—is the key to forming relationships with them. Many firms, even small ones, are using Facebook to develop closer relationships with their customers. Hansen Cakes, a Beverly Hills (California) bakery, has about two thousand customers who visit its Facebook page. During her downtime at the bakery, employee Suzi Finer posts “cakes updates” and photos of the goodies she’s working on to the site. Along with information about the cakes, Finer extends special offers to customers and mixes in any gossip about Hollywood celebrities she’s spotted in the area. After Hansen Cakes launched its Facebook page, the bakery’s sales shot up 15–20 percent. “And that’s during the recession,” notes Finer, who is obviously proud of the results she’s gotten (Graham, 2009). Regardless of how well companies know their customers, it’s important to remember that some customers are highly profitable, others aren’t, and others actually end up costing your firm money to serve. Consequently, you will want to interact with some customers more than others. Believe it or not, some firms deliberately “untarget” unprofitable customers. Best Buy got a lot of attention (not all of it good) when it was discovered they had categorized its buyers into “personas,” or types of buyers, and created customized sales approaches for each. For example, an upper-middle-class woman was referred to as a “Jill.” A young urban man was referred to as a “Buzz.” Pesky, bargain-hunting customers that Best Buy couldn’t make much of a profit from were referred to as “devils” and taken off the company’s mailing lists (Marco, 2008). The knife cuts both ways, though. Not all firms are equal in the minds of consumers, who will choose to do business with some companies rather than others. To consumers, market segmentation means: meet my needs—give me what I want2. 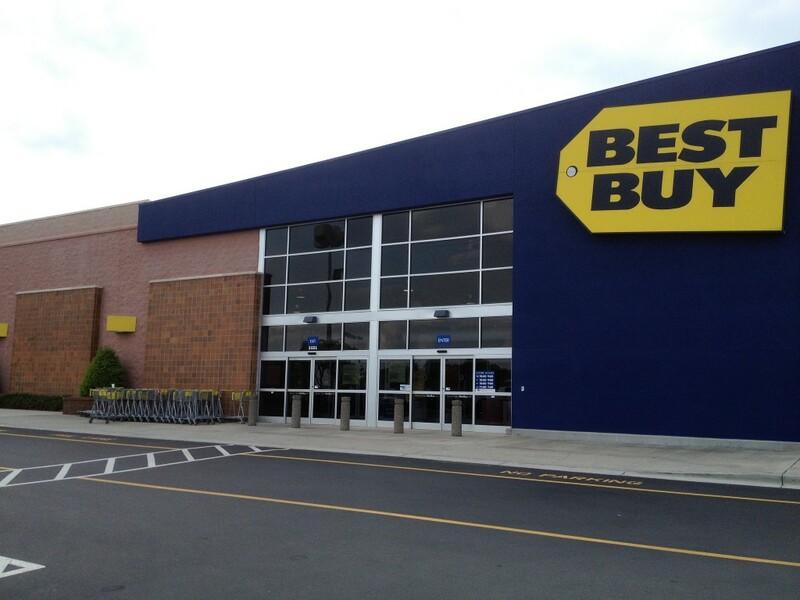 Mike Kalasnik – Best Buy Monroe, NC – CC BY-SA 2.0. Steps companies take to target their best customers, form close, personal relationships with them, and give them what they want—a process called one-to-one marketing—are outlined in “Steps in One-to-One Marketing.” In terms of our shotgun versus rifle approach, you can think of one-to-one marketing as a rifle approach, but with an added advantage: now you have a scope on your rifle. One-to-one marketing is an idea proposed by Don Peppers and Martha Rogers in their 1994 book The One to One Future. The book described what life would be like after mass marketing. We would all be able to get exactly what we want from sellers, and our relationships with them would be collaborative, rather than adversarial. Are we there yet? Not quite, but it does seem to be the direction the trend toward highly targeted marketing is leading. Establish short-term measures to evaluate your efforts. Determine how you will measure your effort. Will you use higher customer satisfaction ratings, increased revenues earned per customer, number of products sold to customers, transaction costs, or another measure? Identify your customers. Gather all the information you can about your current customers, including their buying patterns, likes, and dislikes. When conducting business with them, include an “opt in” question that allows you to legally gather and use their phone numbers and e-mail addresses so you can remain in contact with them. Interact with your customers, targeting your best ones. Find ways and media in which to talk to customers about topics they’re interested in and enjoy. Spend the bulk of your resources interacting with your best (high-value) customers. Minimize the time and money you spend on low-value customers with low growth potential. Customize your products and marketing messages to meet their needs. Try to customize your marketing messages and products in order to give your customers exactly what they want—whether it’s the product itself, its packaging, delivery, or the services associated with it (Harler, 2008; Peppers & Rogers, 1999; Peppers, et. al., 1999). Listen to Apurva Ghelani, a senior sales engineer, from the marketing company Air2Web, discuss how companies like NASCAR get permission from consumers to send them advertisements via their wireless devices. Choosing select groups of people to sell to is called target marketing, or differentiated marketing. Mass marketing, or undifferentiated marketing, involves selling the same product to everyone. The trend today is toward more precise, targeted marketing. Finding and attracting new customers is generally far more difficult than retaining one’s current customers, which is why organizations try to interact with and form relationships with their current customers. The goal of firms is to do as much business with their best customers as possible. Forming close, personal relationships with customers and giving them exactly what they want is a process called one-to-one marketing. It is the opposite of mass marketing. 1“Lift Sales with Personalized, Multi-channel Messages: 6 Steps,” July 9, 2009, http://www.marketingsherpa.com/article.php?ident=31299 (accessed December 2, 2009). 2“Market Segmentation,” The Market Segmentation Company, http://www.marketsegmentation.co.uk/segmentation_tmsc.htm (accessed December 2, 2009). Birchall, J., “Out to Launch in a Downturn,” Financial Times, June 4, 2009, 10. Birchall, J., “Value Trend Tests Brand Loyalty,” Financial Times, March 31, 2009, 12. Ford, H., My Life and Work (Garden City, NY: Garden City Publishing Co., 1922), 72. Graham, J., “Cade Decoratero Finds Twitter a Sweet Recipe for Success,” USA Today, April 1, 2009, 5B. Harler, C., “Reaching the Unreachable,” Smart Business Cleveland, December 2008, 92. Manzanedo, J. M., “Market Segmentation Strategies. How to Maximize Opportunities on the Potential Market,” February 20, 2005, http://www.daemonquest.com/en/research_and_insight/2006/10/11/market_segmentation_strategies_how_to_maximize_opportunities_on_the_potential_market (accessed December 1, 2009). Marco, M., “LEAKS: Best Buy’s Internal Customer Profiling Document,” The Consumerist, March 18, 2008, http://consumerist.com/368894/leaks-best-buys-internal-customer-profiling-document (accessed December 2, 2009). Peppers D. and Martha Rogers, “The Short Way to Long-Term Relationships,” Sales and Marketing Management, May 1, 1999, 24. Peppers, D., Martha Rogers, and Bob Dorf, “Is Your Company Ready for One-to-One Marketing?” Harvard Business Review, January–February 1999, 151–60. Spellings, R. Jr., “Mass Marketing Is Dead. Make Way for Personal Marketing,” The Direct Marketing Voice, March 20, 2009, http://thedirectmarketingvoice.com/2009/03/20/mass-marketing-is-dead-make-way-for-personal-marketing (accessed December 2, 2009). 5.1 Targeted Marketing versus Mass Marketing by [Author removed at request of original publisher] is licensed under a Creative Commons Attribution-NonCommercial-ShareAlike 4.0 International License, except where otherwise noted.